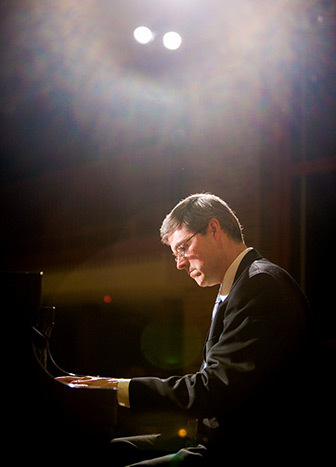 Erik Entwistle has two recordings of music by Czech composer Bohuslav Martinu, both released on the Summit Records label. The first is a disc of solo and chamber music in which Erik collaborated with Michele Zukovsky, principal clarinetist of the Los Angeles Philharmonic. The second features Erik performing a selection of Martinu’s solo piano works, including ten premieres. Compact disc of solo piano music by Bohuslav Martinu, Summit Records DCD 407, November 2004. See details and reviews of Martinu: Piano Works. 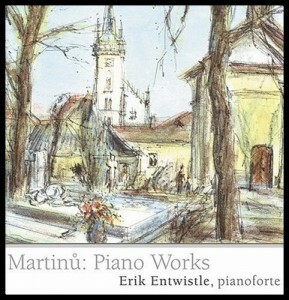 Listen to sample recordings of Martinu: Piano Works by Erik Entwistle. Compact disc with Michele Zukovsky, principal clarinetist of the Los Angeles Philharmonic, Summit Records DCD 214, November 1999. 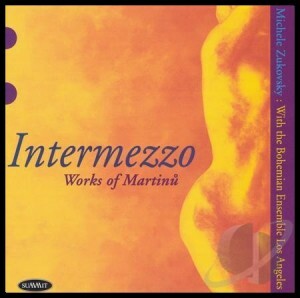 See details and track listings for Intermezzo: Works of Martinu.